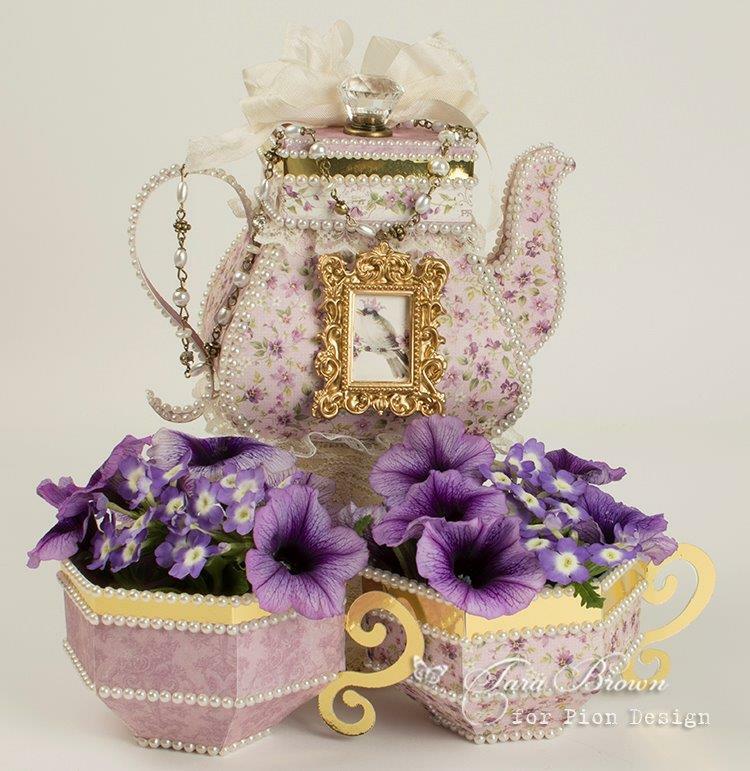 This Scent of Lavender papercraft tea set is filled with real purple flowers and makes a wonderful centerpiece for a formal tea or lunch. I put a transparent plastic liner inside each of the paper teacups to hold the soil and flowers and just sprinkle a little water on them daily for freshness. The project was made using cutting files from Pazzles. The top of the teapot lifts off and can be used as a box or to hold more flowers. I chose to leave it as a box to store sachets of loose tea leaves and small infusers. Enjoy the day crafting with these amazing papers! Totally amazing work here from Tara once again. Her skills mixed with your amazing papers can only make a perfect result in my book. This is sooo beautiful and perfect for decorations, that I just want to jump in on it right away.